All-access spectator passes $30 at the gate. Kids under 16 free. 5:30pm-11pm: Gates open for early arrival. 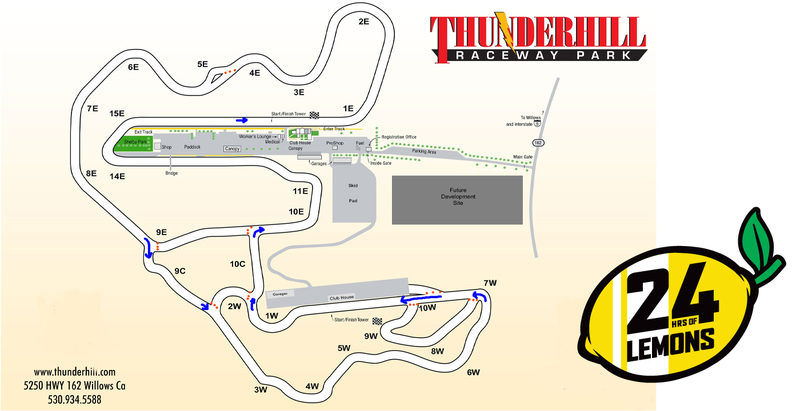 9am-4pm: Thunderhill hosted testing on the 5-Mile Track. Full day, Pricing TBA. Signup at the PRO SHOP after 7am Friday. 12pm-5pm: Mandatory Friday Tech Inspection--no Saturday Tech will be offered! 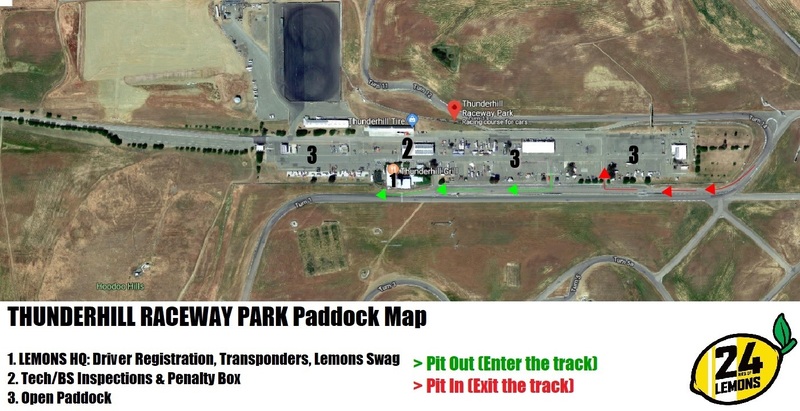 Paddock spaces are limited to 40'x20' per team. Anything that doesn't fit in that square will need to be put in overflow parking on the skidpad. Spots will be marked with chalk and Thunderhill staff will be enforcing the space limits. No firearms or fireworks may be used on track property. No"razor"-type scooters allowed ever. Electrical hookups: First come first served. Pit hours: No race motors after 6pm or before 7:30am. Fuel sold on-site: Yes, credit-card activated pumps on site. Thunderhill charges a drop fee for outside fuel containers measuring 55 gallons or larger. Waste oil can be recycled at marked dump stations near the fuel pumps. Take your brake fluid, antifreeze and other chemicals with you. Fuel spills on asphalt should be dilluted with water. Keep some handy in your paddock space. No ATVs, motocycles, or fourwheelers may be driven in the hills ever.